This afterthought nature has meant that generally the AB’s change shirt has just been a plain white shirt in whatever the style of the home shirt is – an unfortunate grey flirtation in 2007 aside. The All Blacks barely ever wear it, after all, so why put that much effort into it? Well, that’s all changed this year, as to go with the Blackest Jersey Ever home shirt, Adidas has created a New Zealand alternate shirt that’s not only more than a mere plain white shirt – it’s actually quite interesting! The alternate shirt takes what was a very subtle aspect of the home shirt – the fern leaf pattern that ran up the sides of the shirt – and makes them a key visual motif. 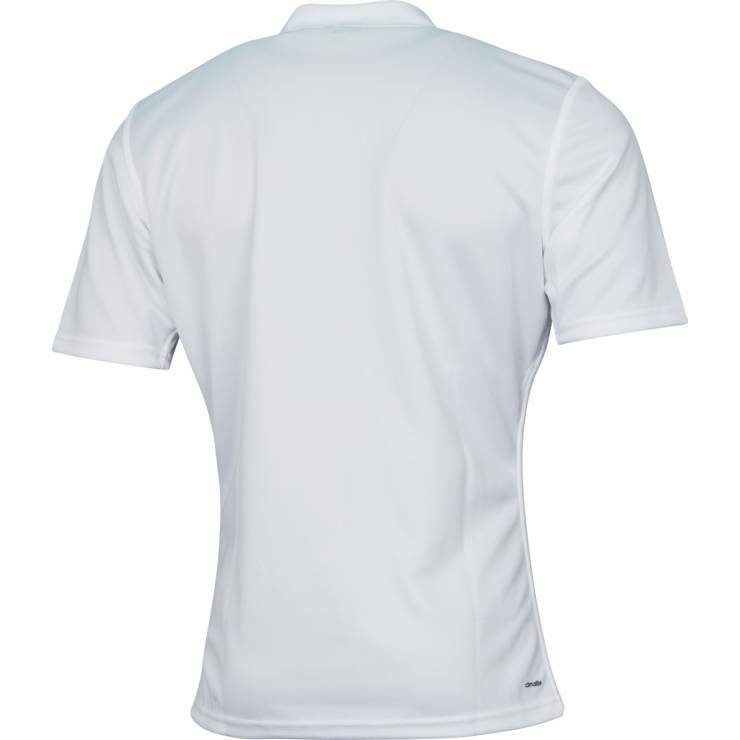 We really like it – it brings a bit of interest to the shirt, elevating it above ‘plain white tee’ territory, and at the same time leaves you in no doubt whose shirt it is you’re looking at. 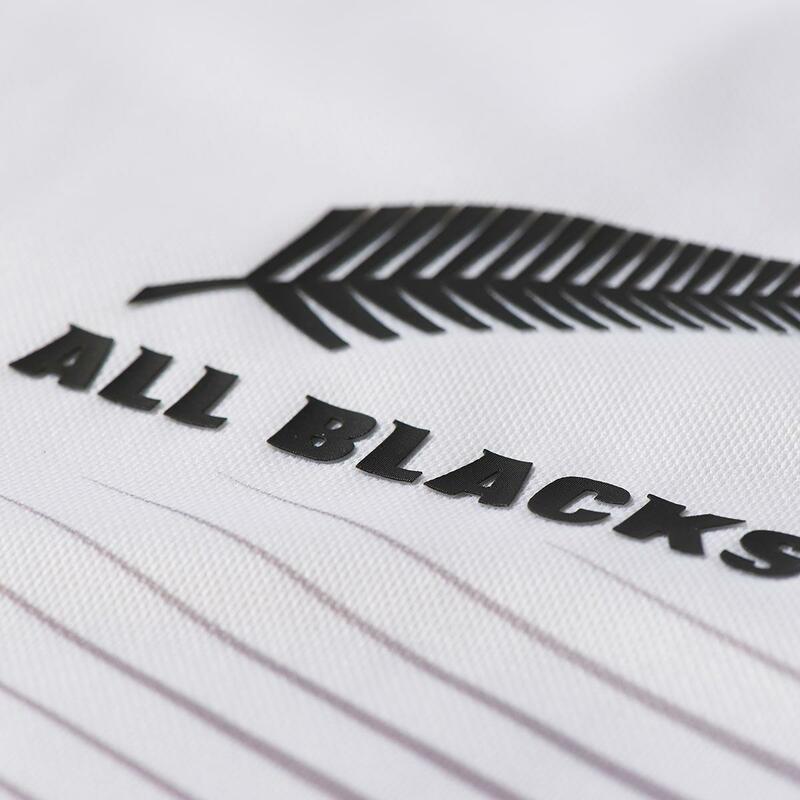 There’s always been something vaguely counter-intuitive about a plain white shirt having the words ‘All Blacks’ written on it, but at least with the black ferns running up the side of the jersey, there’s a bit more ‘New Zealand’ to this shirt than many previous alternate ABs shirts. Very few sporting teams have a jersey so iconic and unique they require literally zero ornamentation to be instantly recognisable. 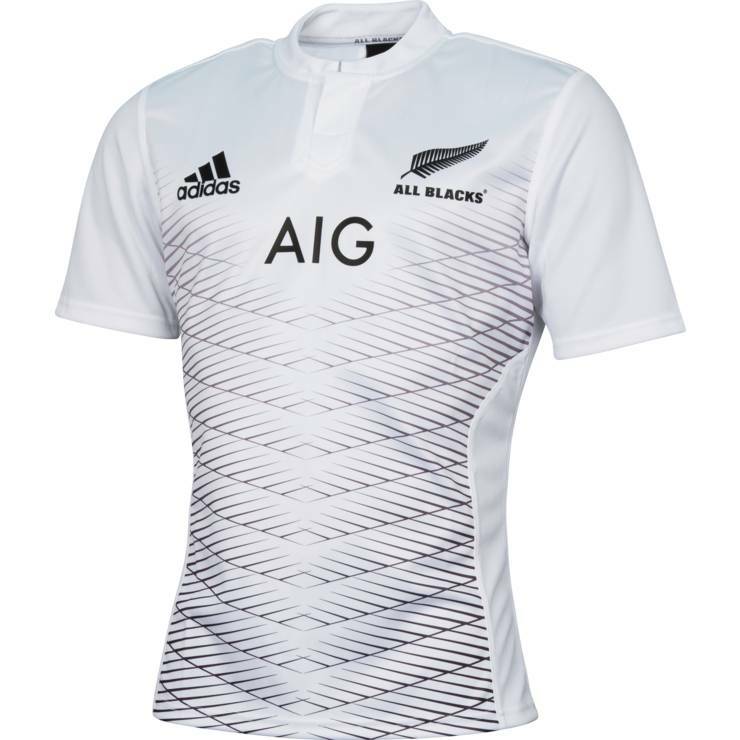 The All Blacks home shirt is as perfect an example of this as you can get, but the same has never been true of the alternate shirt. By leaving it a simple palette-swap of the home shirt, too many All Blacks change jerseys have been instantly forgettable. 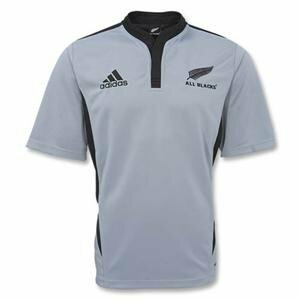 This time around though, Adidas has realised that an All Blacks alternate shirt has to work as hard to be interesting and recognisable as the shirt of any other nation, and it’s massively improved as a result. This is a cool, sleek, modern design that has plenty of ‘New Zealand’ in it, and manages the impressive feat of being not a total waste of time. Nice.